Feel the vibrancy of this boom town walking the streets of the inviting town square filled with unique dining and shopping experiences. It's one of the largest town squares you've ever seen. The Town Square is bordered by Randolph on the north, Maine on the south, Independence on the west and Grand on the east. 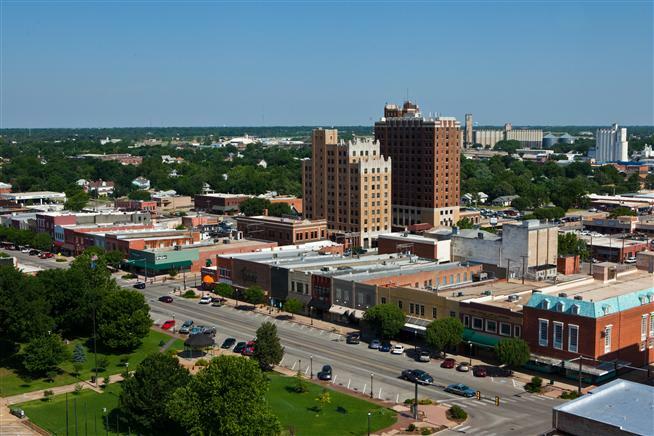 Downtown Enid features a historic square surrounded by art galleries, destination dining spots, and great shopping! Visitors to the monthly First Friday can expect to hear live music at one of the great restaurants, and enjoy extended shopping hours. During the day, Downtown Enid offers a variety of shopping opportunities where everything from an Alaskan cruise, a bedazzling array of jewelry, upscale home decor, fine women's wear, Western furniture and accessories, popular bicycles and gear, and more can be found! If you are looking for a cultural experience, Downtown offers the Enid Symphony, the Gaslight Theatre, Leonardo's Museum and others. 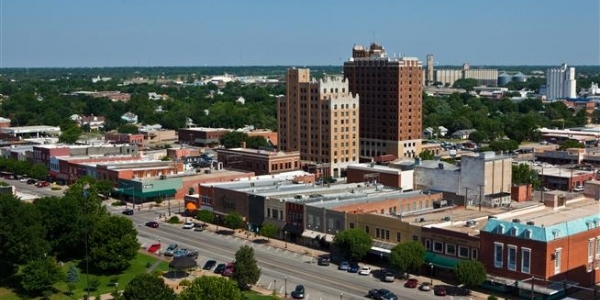 Downtown Enid is your destination for shopping, dining and entertainment.